Page updated 21st December, 2018. Join us on our special Facebook page. 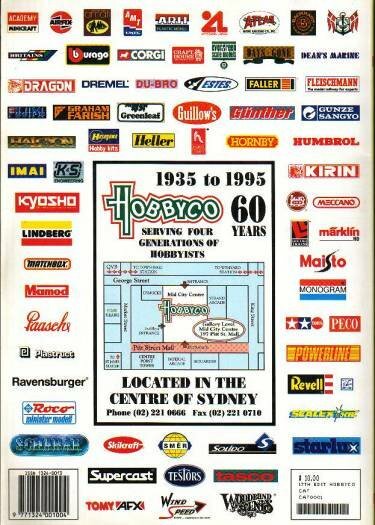 This page will gather together the memories of those of us who used to frequent, or work for, the toy, hobby and sports shops of Sydney and its suburbs. In the early to mid-20th Century, it was common for so-called 'sports shops' to have a toy or hobby section within, because many manufacturers who produced toys, also manufactured sports equipment in sizes to suit children. Few such shops now exist within the metropolitan area, because large chain stores have taken over the distribution and sale of toys and sporting equipment as completely separate lines. Note: "/" indicates a new paragraph. I distinctly recall visiting this shop in the 60's, usually with my grandmother in tow ! There was a young English sales assistant there who worked in the hobby section. His boss had a moustache - can't recall the names now (if I ever knew them). The assistant cheerfully mixed Humbrol paint for me one day to get the right shade for an AIRFIX Dinah Japanese bomber that I purchased there. Later he ran his own hobby shop in Dee Why. I also bought the last pack of Civil War plastic figures that were in the glass display case located at the bottom of the steps. Must have been c1965 or 1966 as US Civil War 100th anniversary had just occurred. The Hobby section was located below street level and it was like entering Aladdin's Cave for children. The building was very old as I recall and the Hobby area was rather dim. A Victorian era building. I have a very vague memory of visiting this shop in about 1966. It was as a narrow shop fronting onto George St. Lots of glass cases displaying stock. Good for figures and again the US Civil war featured prominently. Britains Eyes Right series was available with spring loaded cannons. An artillery set with limber and troops cost around $10.00 - a small fortune then as I recall. I received two for my Birthday. To the left, the cover of a W&S catalogue from the 1954/55 (Thanks for the correction, Dave.). Key Staff: Frank Murrell (Manager) , Joe Rubolio (2 IC - Accountant), Ken Winfield (Upstairs Section - ships and figures), Arthur Mulleno (Radio Control), Keith Hudson (Railways). Keith later ran his own model railway shop in Goulburn St, David Page (Plastic kits and general sales person) Cattledogs  catalogues - a favourite saying. David worked at Sheriffs, Parramatta, until recently. I started there part time in December 1972. Job obtained through link with a Danish family at Canterbury. The Rasmussens - who were possibly neighbours of Frank Murrell. My Grandmother had worked with Mrs Rasmussen in the late 1950s at T and G Insurance in Sydney. / I worked Thursday nights and Saturdays between late 1972 and mid-1974. I tried to return there at end of 1974 for part time work - no go. Age now a barrier !. School students were employed as wages were age based - if they had a particular hobby interest. Specialisation was the key. Total contrast with Hobbyco operations now. / I served behind glass counters in the downstairs hobby section in George St. / First pay packet of $27.50 (I think) in cash for a weeks work during school holidays late in 72. $5 for Sat mornings. Little brown paper pay packets dispensed by Mr Rubilio. / First days task was cleaning the ceiling under stairs ! / Store rooms out back rarely had fresh air. Dank stale smells. Giant safe. / Other characters employed during my time (student staff)  Geoff Fellows, Paul Swift (Son of a Colonel at Victoria Barracks), a Scottish guy, " Beg pard" Peter Jones in 74 and red haired storeman (still there / in 1999  then a manager). The 70s plastic kit revolution was underway  hard to convince shopkeepers/management of need for stocking new products. It was the era of Airfix, Frog, Monogram, Italeri and the Japanese newcomer - Tamiya. Pace setter in 1/35th scale AFVs. Looking back I now realize how unique the period was. / I won a competition at Fantastic Toy and Hobby Shop (the chief competitor) in late 1972 - scratchbuilt model using Airfix Pz 4 kit. Entry No 44. I still have it complete with entry sticker ! Constructed a Tamiya BMW R75 side car combo displayed at Hobbyco for some time. / Opening routine each Saturday - Opening/Shutting roller-door at entrance was always an effort. Took efforts of two people ! Cleaning front display cases was also problematic. Gymnastic qualities required there. A real chore. Extreme care was necessary to avoid knocking down window displays. / Lunch options  Wolfes sandwich shop nearby or a recent development  McDonalds in 1974. Not much else then. went to MacDonalds to check out the female staff mainly not the "food"! 35 years on and how the world has changed. More from Robert; November, 2014. I also recall another toy shop that was located near Central Railway in Rawson Place. Obtained a Birthday present there once. I would have visited there in the 60s and have no idea of its name or when it met its demise. At one stage there would have been at least 4 toy and hobby stores operating in the City. Now it can only support one - the great survivor - Hobbyco. In Melbourne , by contrast, there are 3 hobby stores still operative. Thanks again, Robert. All comments on the above will be gratefully received. See below. Thanks, Dave, for your comments, correction and scans. I just stumbled across your web site and read to my delight that Levenson's did indeed exist! Quite coincidentally I recently had an argument with my brother over it's location and was happy to find that I was right and that the shop was located in Pitt Street. I clearly remember being impressed by an Airfix HS 129 - painted in a mottled grey camouflage pattern - hanging in the front window. I must have been very young at the time but I've never forgotten it and have always wanted to build the kit but never got around to it. Although Levenson's has been quite well covered on your site I can add some further information about another store. The Fantastic Toy and Hobby shop was tucked away in Angel Arcade near Wynyard railway station between George and Pitt Streets. My first real job after leaving school was with the Tax Office in Martin Place and so I passed the shop twice a day - and looked in most days. One of the sales assistants was John Chard a descendant of Lt. John Chard, VC, the hero of Rorke's Drift. I think he was the Great-grandson but I can't be sure. The younger John had his ancestor's medal and eventually opened a (short lived) wargames supply shop on the top floor of the Strand Arcade called - wait for it - Rorke's Drift. As you probably recall, the arcade was gutted by fire in the early 1980's but I think he was gone by then. I also recall the Fantastic Toy shop moving to another location - I think on the basement level of the Imperial Arcade off Pitt Street but I could be totally wrong there. I do however remember being in the shop sometime in the 1970's when the employees were told that the business was folding and that their jobs would go. I hope that's of interest to you. Although I live in Queensland these days I grew up in Sydney as did all my family. My dad's family lived in William Street just down from the Museum and so I spent many happy hours touring the streets, shops and arcades of Sydney with my overindulgent grandparents. My mum was a real Sydney, girl being born - literally - in the shadow of the Harbour Bridge. I'll ask her when I have a chance about locations of various shops etc, many of which I must have dragged her to - and through - on numerous occasions. I met John Chard through a work mate who was an avid wargamer and knew him quite well. [...] I clearly remember the shop being on the top level of the Strand Arcade which before the fire was a bit 'down market' - unlike these days. I also remember that there was a story in one of the daily papers of the day about John's connection with his famous ancestor and how he had his VC. A full page story, the clipping was posted in the window of the Fantastic Hobby Shop for some time. I really find it rather sad these days when I visit the CBD to find that more and more small shops and arcades are replaced by ugly buildings and shops selling cheap junk. I really enjoyed reading through your site. Thanks, Dennis, for your recollections. Maybe someone will come up with further information on Rorke's Drift. Enjoyed the toy shops article, a few thoughts and questions. Was Levensons in Pitt St? In the 60's I remember going to a model shop in Pitt St with a workmate who was a keen model railway modeller, I thought it was Levensons, being a non railway person I couldn't work out why anyone would pay a huge amount of money on the pretty gold model locos only to paint them black. In the late 60's there was another Hobby shop in Pitt St I think between King and Market Sts? Again in the 60's there was another toy/hobby shop opposite Dymocks but they were not there for long and mainly sold toys, the name escapes me. I remember Walther and Stevenson's at Town Hall, I used to love looking at the toy soldiers in the window and one Saturday morning was fortunate enough to get my own Britains 25pdr and for Christmas another time the naval gun. Hobbyco was also visited in the 60s and 70s, I remember getting a model of the Revell Hospital Ship Haven during one of their sales, I was still at school so it must have been before 1965. I also remember that they had real old issues of Airfix models that hadn't been seen in shops for ages. In the mid 70's I was working at the DMR and used to visit with a railway modeller who purchased a VR Puffing Billy. As one of my jobs was to walk between Day St and HO at Campbell St I was tasked by my friend to pick up his monthly issues of model railway magazines. 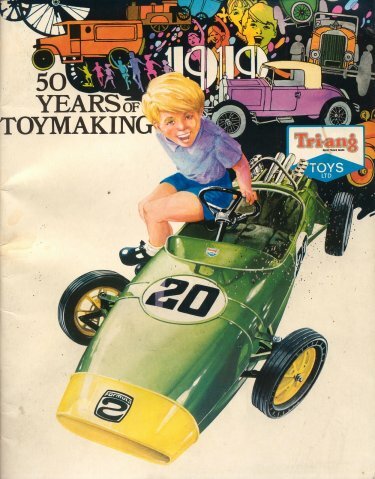 I also remember visiting the Fantastic Toy & Hobby Shop up that little lane near Wynyard. When it opened we modellers thought it was terrific as John stocked all the newer models that Hobbyco didn't seem to worry about eg the Tamiya tanks. Captain Fantastic was a nice guy and was always willing to help out with model enquiries. 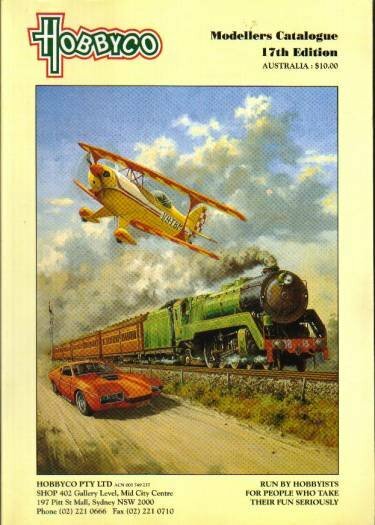 Anthony Hordern's also had a good selection of models, the brand I remember them having a lot of was Aurora, so maybe they were having a sale of them, I can't remember. Woollies at Town Hall also sold quite a lot of models, I remember in the early 70's that they remaindered all the old Frog kits when they went out of business, I purchased quite a few of the warship models. I wish I still had them. Later Woollies also remaindered the Airfix kits when they went through one of there collapses, that time I remember getting the hovercraft, which I still have somewhere. I also visited Keith Hudson in his Goulburn St shop and as it was only around the corner I spent a good deal of time there. Both Keith and his wife were terrific people and always helpful. From memory Keith was a keen model airplane builder of the flying type but kept a huge inventory of model train gear. Very popular at the time as he was only one of the few hobby shops that stocked NSW outline models, even thought they were pretty rough compared to today's standards. It was great dealing with Keith because if you could find it in a Walthers catalogue he would order it in for you. That was really handy for the modeller in those pre internet days. Anyway that's a few of my memories on toy and hobby shops in the city, the memory is going so maybe some of the info might not be accurate. Thanks, Glenn. Levenson's was in Pitt St about a third the way between Park and Market Sts, opposite the George St-Pitt St arcade which contained all the stamp shops. Like Walther & Stevenson's (which was opposite Dymocks in George St) it was on 2 levels with ground floor and basement. It started out primarily as a radio and electronics store which by the 60s had been relegated to the basement; hobbies occupied the ground level completely. 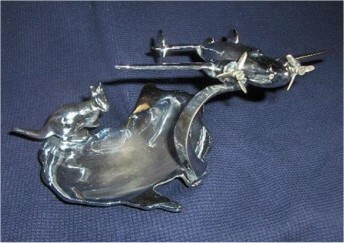 Airplane ashtrays collectors occasionally come across an e-Bay auction for an ashtray modelled in the shape of Australia. bc Most originated from the estate of some US or UK serviceman who had been stationed down-under in the 1940s. Typically, they are heavily engraved with the names of key Australian towns and cities, while some feature a kangaroo as well, engraved in outline with the chrome in the body rubbed back to expose the bare metal. Each is surmounted by a P-38 Lightning or perhaps a kangaroo figurine. 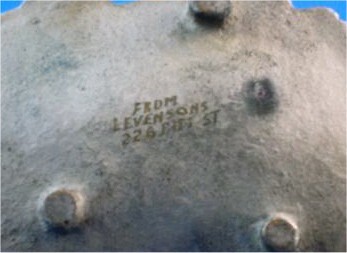 On the underside of the Australia ashtray is inscribed “Levenson’s Radio 226 Pitt St. Sydney”. Australia seems to be a bountiful source of airplane ashtrays dating from the war period – cast, finished and engraved with details such as flaps and cockpit, then chrome-plated – in other words, the bye-products of factory production rather than models produced in the field from whatever materials came to hand – i.e. true trench art. Certainly, there are numerically far more cast English and American cast airplane ashtray models dating from the war to be found on e-Bay, but Australian-sourced models make up a significant proportion of the offerings each month, which raises some interesting questions about their manufacture, because Australia was far from being one of the world’s heavily industrialised economies in the mid-20th century. bc Why did Australians make these models and why, and how did they get onto the market in the first place? This is a study which both interests and frustrates me because the evidence is scanty, but undoubtedly, Levenson’s Radio played a part. This business is one of only two which have currently been identified as a source for Australian airplane ashtrays in the 1940s. Even 70 years ago, Levenson’s Radio emporium, at 226 Pitt St – then, just as now, right in Sydney’s shopping heartland – must have seemed like a glorious throwback to an earlier age of retailing. Today’s consumer-savvy observer, stumbling across their full-page ads in back issues of Radio & Hobbies in Australia magazine, might conclude it was rather like some wonderful hybrid of Santa’s Cave and the Shanghai No. 1 Department Store, rather than a sober commercial establishment. Joseph Levenson (1882-1974) commenced his business in the early 1900s. He is listed in the Sands Sydney Street Index of 1910 as the proprietor of a shooting gallery in Pitt St. About this time, American slot machines were entering the market in Australia, finding favour amongst customers of establishments like Levenson’s and boosting profits. Indeed, up to 1940s, the firm described itself “slot machine specialists”, perhaps indicating that they imported and distributed, as well as ran, these Yankee money-makers. Although Levenson was described as an upright businessman, his business activities (it was not until the 1950s that gaming machines were legalised in New South Wales) and wrangles over employment disputes landed him in trouble with the police and the industrial relations system from time to time. From this thriving base, Levenson branched out into selling a huge variety of games, tricks and novelties. 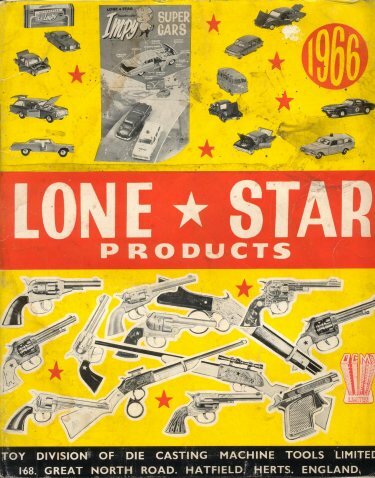 These included such gems as skull rings (“the wearer commands respect”) sugar dispensers and luminous paint, pocket knives (for “Men of the Services”,) throwing knives and toys, such as the toy roulette wheel horse-racing game featured in Carter’s 2006 Price Guide to Antiques p.662. He added crystal sets, radios and radio parts in the late 1920s. His shop obviously worked its charms on Sydneysiders like Ian Kirby ( http://www.collectingbooksandmagazines.com/ahIan.html ) who recalls haunting the premises at lunchtime as a young apprentice electrician working for nearby Anthony Horden’s department store during the early 1950s. His interest in things electrical had been sparked as a youngster when he was given a Levenson crystal set one year for Christmas and now was a teen, he was drawn to Levensons displays of enticing gear for the radio enthusiast. Some idea of what Kirby would have seen during his lunch hour can be gathered from his description of the American Talking Weighing machine stationed right outside Levenson’s front door. The mulct levied by this wonderful machine for letting the whole world know your weight was considerably more than the single penny charged by conventional machines, but apparently there was no lack of patrons eager to pay to be publicly humiliated! Although radio sales became his mainstay, Joseph Levenson (self-described in the 1930 Sands Street Index as an “investor”) kept a finger in many other pies, ever on the alert for market opportunities. He imported and sold books on subjects as diverse as Household Electric Refrigeration and More card manipulation, while his range of aircraft identification manuals and ID aids probably walked off the shelf throughout the 1940s. As early as 1941 Levensons advertised that they sold rough castings of airplanes – “all Modern Planes”, “ready to polish up and chrome” . Customers could choose between a Spitfire (2/6d), Douglas (DC-3?) (2/9d), Hudson (2/6d), Fairey Battle (4/-), Wirraway (2/6d or 3/-), Kittyhawk (2/9d) or De Havilland Comet (3/-). There were four kinds of ashtray base ranging from 3/6d to 4/6d, while the upright or stalk attachment cost 1/1. Complete sets cost between 11/6d – 22/6d. To put these prices into perspective, you could rent a whole house for 20/- per week at this date. Levensons probably bought the castings from the many small factories and foundries which turned to war production on a 24/7 basis, turning out these models as a by-product of serious war work and as a means of training unskilled hands. Levensons advertised that they acted as wholesalers, sending goods all over Australia, so many airplane ashtrays found today in junk shops interstate could have come from their premises. I have heard that hobby shops in Melbourne had a flourishing trade in rough castings, but I have never found examples and proof is hard to come by. Whichever retailer sold them, Spitfire, Hudson, Wirraway and Comet models held enormous appeal to public sentiment during the war and must have sold in some numbers, for they are the models from Australia which still turn up in the largest numbers on eBay today. bc By 1944, Levensons had uniquely discovered a fresh market for these models - the assembly and sale of floridly engraved airplane ashtrays aimed at American, Canadian and British service personnel wanting an Aussie souvenir to take home. For this trade, the figural casting on the ashtray was as likely to be a kangaroo as the airplane of choice (often a P-38), reflecting the fascination that native fauna has always had on Australian visitors, although there are examples of an ashtray with both an airplane and a kangaroo! 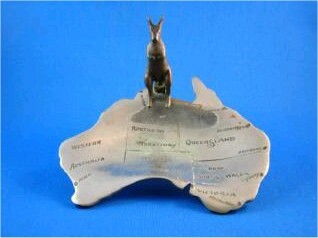 All the capital and some regional cities plus state borders were engraved on the Australia base, while the deluxe model included a kangaroo engraved in the centre of the tray, surrounded by stylised sprays of wattle. Girlfriends of returning servicemen often had messages engraved on the wings, so there was scarcely a section of the souvenir left unadorned! Thanks for the excellent article, Jim. In September 1938 as a school leaver of 17 years, I saw an advertisement in the Sydney Morning Herald for a vacancy in this store and my application was successful. I was interviewed by the foreman Lou Seccombe who was an Amateur Radio Operator, a subject in which I was very interested and later became a "Ham" operator myself. Levenson's Radio was a real family concern. It was headed by Joe Levenson, his son Lionel, Jack Lewis son-in- law, and daughters Miriam, Rebecca and Rachael. An upper level at the rear of the shop accommodated the office staff comprising of two girls, Mavis Ledsam and Marge Eldershaw. Joe was a heavily built man and aged somewhere in his sixties. He had fair hair and a fair complexion and stood about six feet tall. He was quite an imposing individual. He seemed to have a perpetual running nose for which I was often sent to a small store near Park street to purchase half a dozen washed handkerchiefs. Joe was involved in buying diamonds and I was sent on a few occasions to a solicitor to pick up a small velvet bag and give it to him. I had to stand by while he counted the number of gems it contained! He always wore a ring on his left hand which held a pretty large and sparkling white diamond. The merchandise that this store sold was in the main cheap and of inferior quality. Music boxes were perhaps an exception, these being imports from Europe. There was another store in Pitt Street named Searle's which sold better products and good quality model rail stock. But the very best of such stores was that of Walther and Stevenson's in George Street which I often visited. My earliest recollection of Levenson’s is from the mid-1950s. I recall getting the tram across the Harbour Bridge to the city one sparkling Saturday morning and returning before lunch with a Tri-Ang catalogue that I think cost me 1/-, maybe less. I made up a list of all the bits and pieces I’d need to make a fairly elaborate and realistic display and sadly realised that the cost, to me, was way beyond reach. Over the following few years I visited the store many, many times as a keen plastic model aircraft builder. As I recall, there was a “speak-your-weight” machine in the entrance and I think it cost tuppence to be weighed. I’ve always thought only mugs fell for that kind of thing. They also broadcast music, not too loud, presumably from the radio section . . . I vividly remember hearing Tab Hunter’s “Young Love” as I walked into the store, so that must have been 1957. There were glass cases with completed models on the right as you walked in, and the model section was towards the rear of the shop. The sales staff wore grey dustcoats. Levenson’s sold matt paints in unlabelled bottles that I think cost 9d at the time and I think that was more economical that the little tins of Humbrol. One model I recall buying there was the Revell B-25 Mitchell. In the early 60’s I started working at the old MSW & DB (Water Board) in January 1962. Further down Pitt street was J Searle & Sons, a hobby shop known for it’s Model Railway supplies, and many other models of planes, ships, etc. As a young teenager I often spent hours just browsing the small shop. The proprietor was Cliff Searle who had this grand old cash register that had bells that rang when it was registering a sale. He was known for his little dance of joy when using the cash register. He often remined my of That old actor Terry Thomas, but he was a bit more suave than Terry. He often wore a cravat and was always impeccably dressed. He pioneered the import of brass HO model railroad models made in Japan. I worked for Levenson's Radio in 1967/68, downstairs in the radio department. We sold radios and recorders. There was quite an impressive range of these. We also hired out games such as backgammon, roulette wheels, crown & anchor and a spinning wheel; I can't remember what it was. We tested valves for radios; we sold batteries and record player stylus. I enjoyed my time there. The manager of the department was named Rush Rushton; there was a staff member called Frank and a teen named Colin Petersen. Upstairs they sold toys, hobbies, games and souvenirs. I think the accountant was called Mr.Glencross. Mr Levenson was the owner. He was tall and dark haired with a moustache.